Corner of Main and Summer Streets. 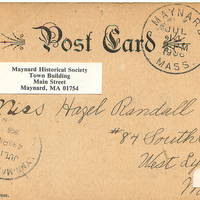 Built in 1895. Church group organized in 1867. 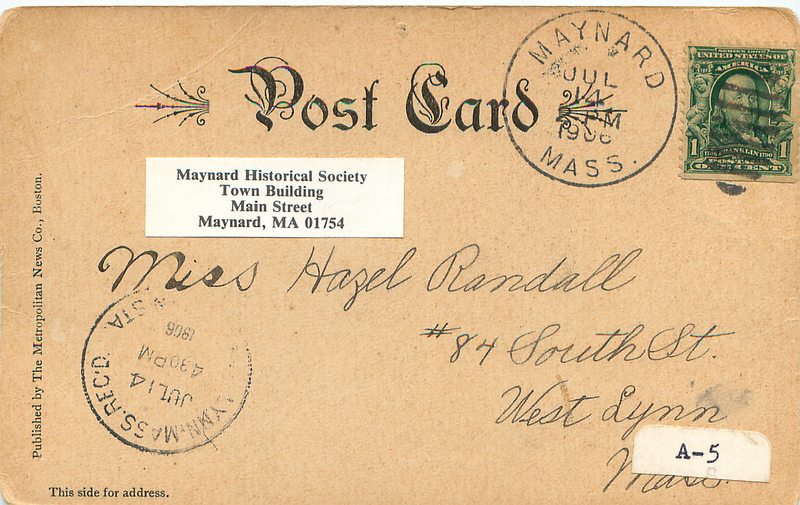 First worship held in Union Hall which they bought in 1870, selling it later to James Higgins, who removed it to face Main Street and remodeled it for a business block and residence. In 1970 still standing next to present church. The church is where Union Hall formerly stood. 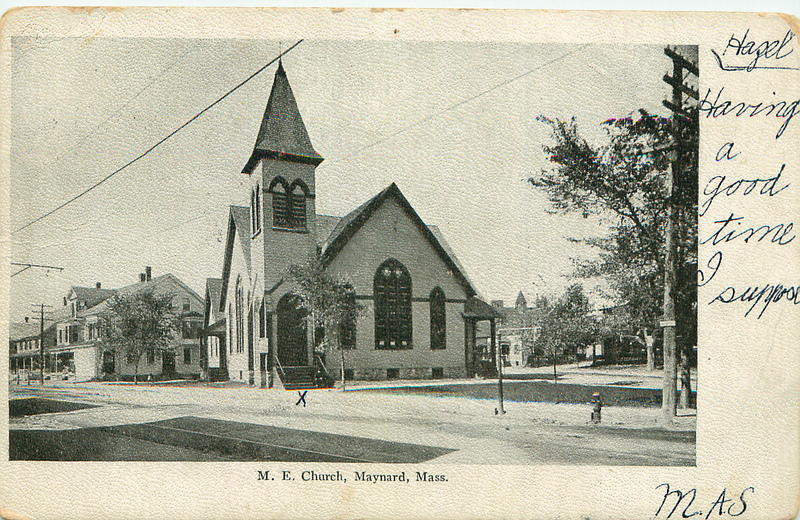 The jut of land in front of the church was removed so the fire trucks could have access up Main Street - it was intended to be the site of a Soldiers’ monument. 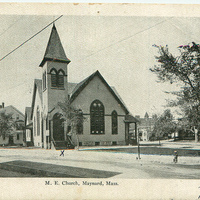 “Methodist Church - 1906,” Maynard Historical Society Archives, accessed April 25, 2019, http://collection.maynardhistory.org/items/show/340.